At long last, fans of Rockstar Games's infamous Grand Theft Auto series will be able to enjoy the franchise's unique brand of mayhem on their Macs. 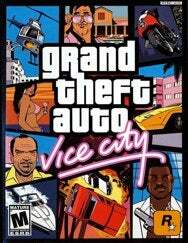 In a Q&A posted on Rockstar's Website, the developer mentions that a native OS X release of the Grand Theft Auto Trilogy, which includes Grand Theft Auto III, Grand Theft Auto: Vice City, and Grand Theft Auto: San Andreas, will be released "most likely" later this year. Though Mac users with a copy of Windows can currently play the Grand Theft Auto Trilogy via Boot Camp or virtualization software such as Parallels and Fusion, a native OS X release would offer improved performance and far less headache. Rockstar says it will release more information about the Mac versions, along with a formal announcement, soon.